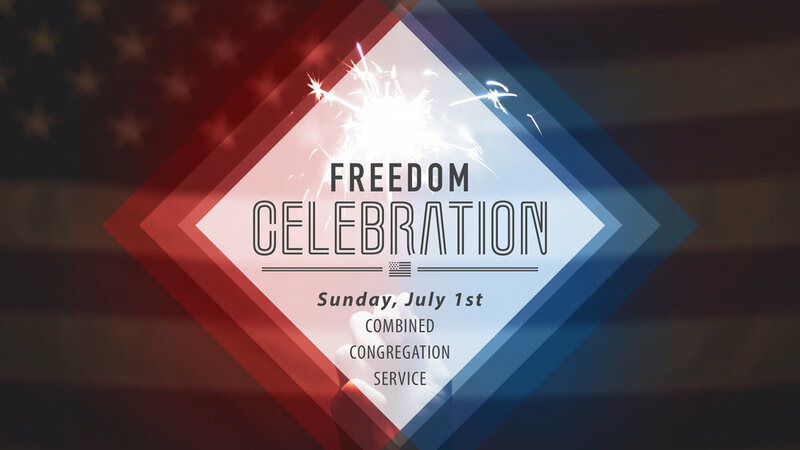 Our Freedom Celebration is happening on Sunday, July 1st at 5PM. First, all our congregations...including our Brazilian, Spanish and Bulgarian will be joining together for one big service to celebrate America...after service, the celebration will move outside to the field by the church with hamburgers, hotdogs, a giant inflatable obstacle course, a kids bounce house and more! Invite a friend and make plans now to attend our Freedom Celebration!